Agile Marketing Team: We stand up daily! 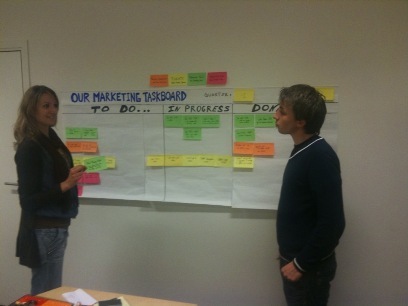 At Valtech (FR), marketers have already taken the opportunity to adopt agility in their own business. The team is small. Agile planning and visual management around a « beautiful » taskboard are the first agile elements the team wanted to experiment. Every day in the morning, no more than 10 minutes, the team does its « Daily Scrum » to synchronize, measure progress and identify impediments. 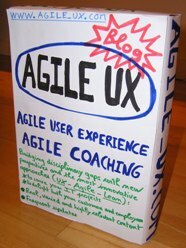 For them, Agile is a good way to work together and to build a relation of trust based on FEEDBACK, TRANSPARENCY and RESPECT. And you know what? They like it! hi, perfect website, and a really good understand! definitely one for my bookmarks.